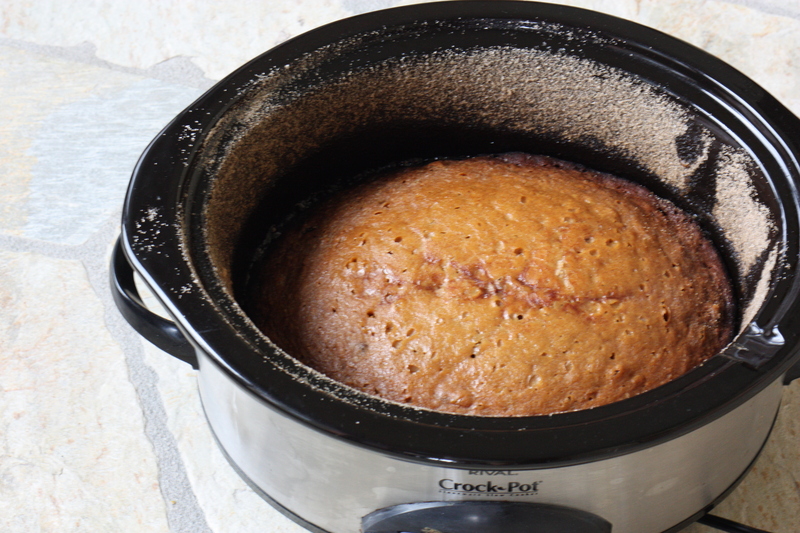 Fix it and forget about it … there’s more than one way to make Amish Friendship Bread, and if you’re always on the go, our crock pot/slow cooker variation may be the one for you. Follow the instructions for Amish Friendship Bread. I recommend testing the recipe first so you can see how your crock pot/slow cooker responds to the recipe–everyone has different settings and temperature thresholds, so you’ll want to establish a baseline. 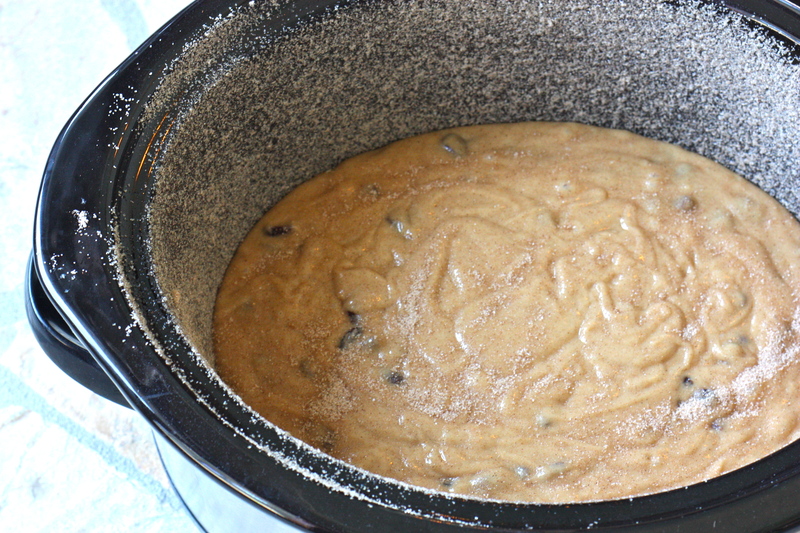 Once the batter is ready, prepare your crock pot by greasing and dusting with cinnamon sugar. If your stoneware isn’t removable, line the slow cooker with foil so all you need to do is lift the bread out when it’s done. If you have a lot of add-ins like nuts, raisins or chocolate chips, toss the add-ins with flour before adding to the batter to help them from sinking to the bottom. I recommend not adding more than 1 cup combined of any add-ins until you’ve tried the recipe once. Larger slow cookers (6.5 quarts) may take longer and the edges could burn before the center is fully cooked. If you notice the edges are pulling away nicely but the center still looks uncooked, remove the lid and keep an eye on the bread every 15-20 minutes (if you notice that the top of your bread is moist, you can save the sugar-cinnamon topping until this stage). Alternatively, you can use a liner or a smaller-sized slow cooker. Fix it and forget about it! 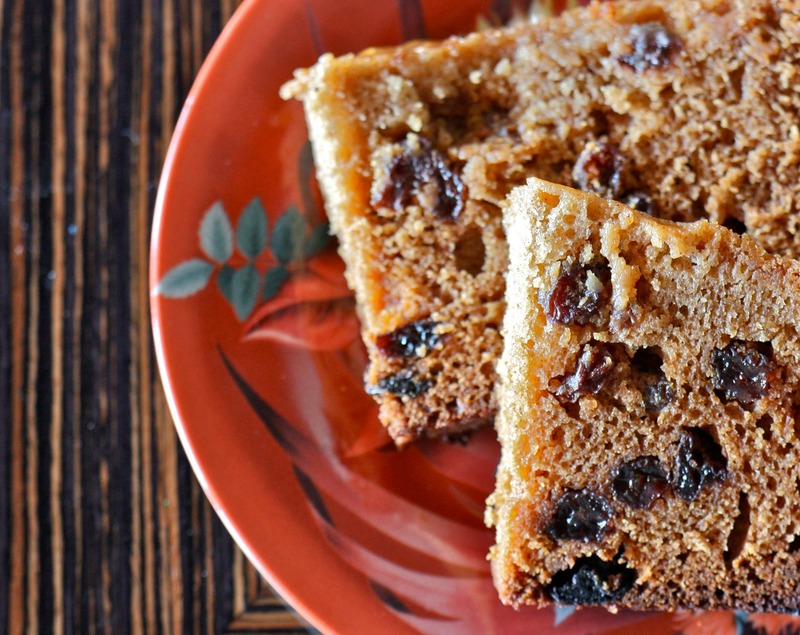 This Amish Friendship Bread recipe uses a slow cooker instead of an oven so it’s ready when you are. If you have removable cooking stoneware, remove the stoneware. Preheat the crock pot on high for about 10 minutes. Dust the greased stoneware with a mixture of 1/2 cup sugar and 1/2 teaspoon cinnamon. Pour the batter evenly into stoneware and sprinkle the remaining sugar-cinnamon mixture on the top. Place a dishtowel between the stoneware and the lid to help eliminate any condensation dripping onto the batter. Bake on high for 3-5 hours (depending on the size of your Crock Pot) until the bread loosens evenly from the sides and a wooden skewer inserted in the center of the bread comes out clean. It’s Saturday Morning in Australia and We Have a Giveaway! Love the recipe, will spread the word. Once again thank you, please keep it coming!!! Save a small (6 oz) juice can, remove both ends, wash & grease. Set it in the middle of the crock before putting the batter around it. This should help it to “bake” more evenly-we do this when making breads in our Dutch ovens while camping. My recipe only took 2 hours to cook. I added two mashed bananas to this and took it to work. My coworkers LOVED it! This recipe turned out really well even though I altered it a bit…I added Amish Friendship fruit extra. I also used ½ brown sugar and ½ white sugar. Has anyone tried “baking” it on low instead of high to prevent overbrowning the crust?